The claim often heard from gun grabbers in their efforts to pass more gun control legislation is that all they’re trying to do is get the “weapons of war off our streets,” but it’s simply untrue that “weapons of war” are available to the general public. You’d last about three minutes in a real war with an AR-15, even with one of the most aggressive builds you can get your hands on. The truth is that the only people with “weapons of war” on America’s streets are, increasingly, the police. Just as when “all you’ve got is a hammer, then everything looks like a nail” American police are becoming more willing to use their heavy-duty, military-grade hardware when carrying out law enforcement tasks. For example, the number of SWAT raids in the United States grew dramatically from about 3,000 in 1980 to a whopping 50,000 SWAT raids in 2014, according to The New Jim Crow by Michelle Alexander. 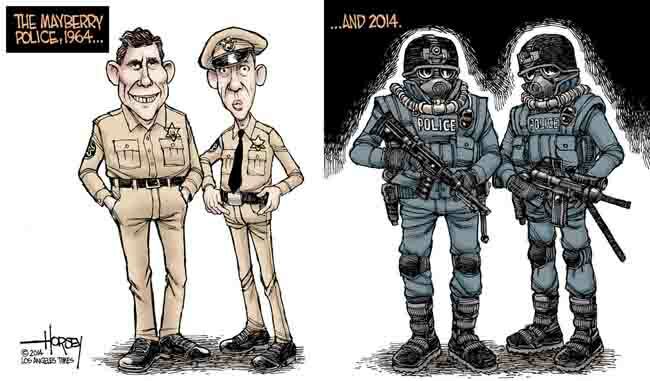 To say that the militarization of the police is nothing new is to ignore America’s recent history. Between 1998 and 2014, the dollar value of military hardware sent to police departments skyrocketed from $9.4 million to $796.8 million. Police militarization is directly tied to prohibition, first of alcohol, then of some drugs. Later, the militarization of local police forces is expanded by the Bush-era War on Terror. Frequently, this militarization is funded by civil asset forfeiture in addition to tax dollars. The militarization of police is an important topic because it highlights the difference between the peace officer versus the law enforcement officer. What Is the Difference Between a Law Enforcement Officer and a Peace Officer? The model for police, and the constables and sheriffs before them prior to the late 20th Century was that of a peace officer. In many states, it’s not even true that police are law enforcement officers – even though it’s a term frequently used by the police and their fans in the “Blue Lives Matter,” “Thin Blue Line,” and “Back the Blue” movements. It’s a subtle, but important, distinction: Is the role of the police to enforce the law or to keep the peace? Consider the difference between the police force of a typical American city and the fictional Andy Taylor of The Andy Griffith Show. The former is concerned primarily with enforcing the law for its own sake and catching as many “lawbreakers” as possible. The latter, on the other hand, is primarily concerned with keeping the peace. Sometimes that means looking the other way when laws get broken. This isn’t simply a matter of how pleasant or unpleasant it is to deal with the police. Law enforcement officers might be writing parking tickets in the middle of a burglary epidemic due to their need to enforce all the laws all the time. Conversely, a peace officer is going to ignore a lot of low-level, habitual crime – even when there are clear victims (for example, vandalism or loitering) – because he emphasizes going out and catching violent and dangerous criminals. There’s no impulse to arrest a guy who habitually smokes weed on a street corner if he’s providing the police with valuable information leading to the arrest of violent criminals. Peace officers might have the need for a sidearm and a shotgun, but they have little or no need for, say, a tank, to say nothing of the variety of nasty DARPA weapons police departments are increasingly wanting and getting. Before we begin talking about the militarized American police, it’s worth mentioning that United States law specifically prohibits the military from enforcing the laws in the U.S. That’s why we don’t have the Army enforcing the law, and also why we don’t have a military-style gendarmerie as is common in Europe. This law, the Posse Comitatus Act of 1878, was passed after the removal of federal troops from the Southern states following the end of Reconstruction. With rare exception, the federal government is not allowed to use the Army or the Air Force to enforce the law and the Navy has strict regulations for both the Navy and Marine Corps regarding the use of either for domestic law enforcement. However, this law has been somewhat undermined due to police forces becoming so much like the military, which began during Prohibition in the 1920s. Organized crime got its first foothold in American life thanks to the lucrative black market in liquor. This was also the golden age of bank robbery with figures like Bonnie and Clyde, Pretty Boy Floyd and John Dillinger becoming folk heroes. The Thompson submachine gun and the Browning Automatic Rifle were increasingly used by organized crime and the “stars” of bank robbery. The Prohibition Era saw domestic police departments wielding automatic weapons for the first time. There was nothing nefarious about this from the perspective of local police departments. In fact, it was the police departments most regularly in contact with vicious organized crime, such as Chicago and Kansas City, who led the way in arming their officers with automatic weapons and armored vehicles. 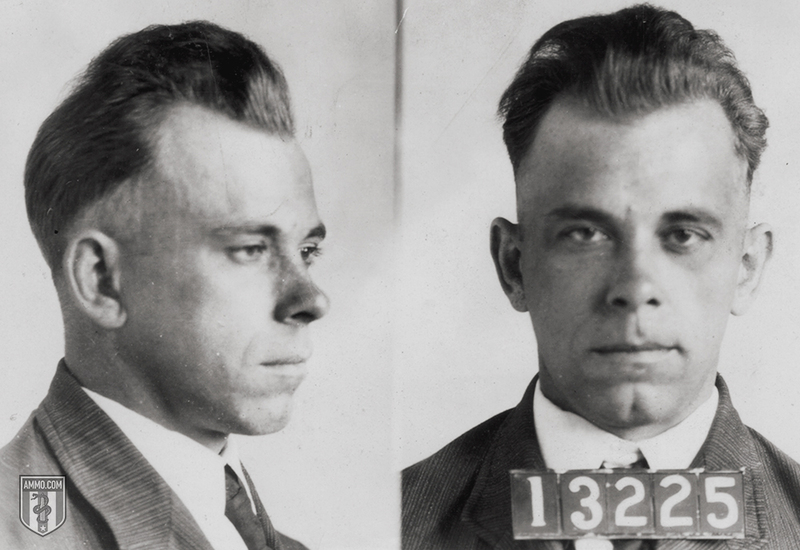 At least two rounds of ammunition, the .38 Super and the .357 Magnum, were developed with the express purpose of being able to penetrate the early bulletproof vests worn by gangsters in the Prohibition Era. Overall crime increased by 24 percent during the first two years of Prohibition. This included a nine-percent increase in theft and burglary, a 13-percent increase in homicides, and a 13-percent increase in assault and battery. Overall, police department costs increased by 11.4 percent. However, because the police were busy fighting the scourge of demon alcohol, it was difficult for them to target crimes unrelated to this. In fact, a study of South Carolina counties that enforced Prohibition versus those who didn’t found a whopping 30- to 60-percent increase in homicides in the counties who enforced the law. All of this is according to Charles Hanson Towne in The Rise and Fall of Prohibition: The Human Side of What the Eighteenth Amendment Has Done to the United States. This era of militarization drew to a close with the end of Prohibition itself. However, the militarization of police would resume again a few decades down the line. The second wave of police militarization begins with the race riots in the 1950s and 1960s, with the Watts Riots in 1965 gaining a sort of gravitas. The LAPD used military-style weapons and tactics to end the riots. What’s more, an increasingly militant civil rights movement was seen by the CIA as an arm of international Communism. While there is some merit to this view, it’s certainly true that it led to a philosophy of increasingly militarized police. The militarization of police is not by any means based on manufactured and artificial paranoia. Even in the case of Prohibition, it’s a simple fact that organized crime used weapons with firepower far in excess of what the police had access to. Similarly, the second wave of militarized police was partly in response to an increasingly militarized organized crime thanks in part to the beginnings of the War on Drugs. On one hand, the police were encountering more and more dangerous organized crime syndicates, such as the Medellin Cartel and street gangs like the Gangster Disciples. 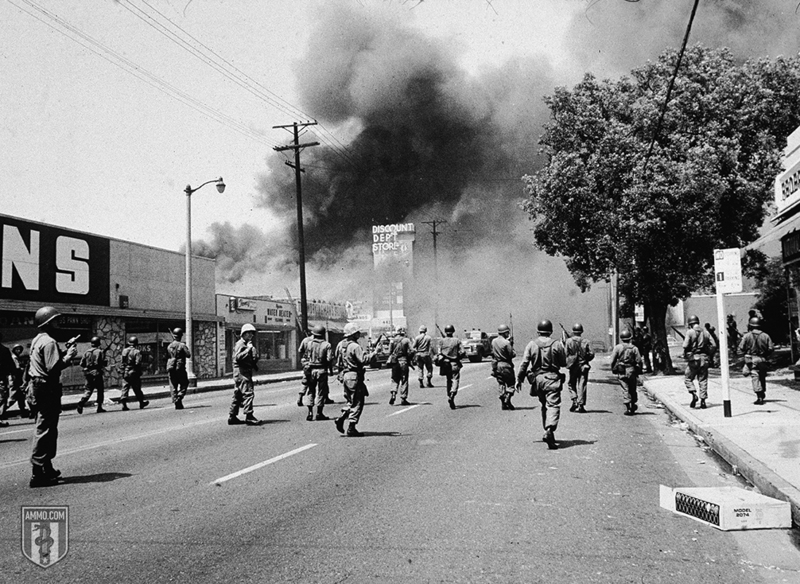 Urban unrest included not just race riots like the aforementioned Watts Riots and the 1967 riots in Detroit, but also the riot outside of the 1968 Democratic Party Convention. Domestic terrorist organizations like the Weather Underground, the Symbionese Liberation Army, and the Earth Liberation Front likewise offered increased challenges to law enforcement. Unrelated to the War on Drugs, the 1986 FBI Miami shootout was a game-changer for law enforcement budgets. Police outnumbered suspects by a factor of four. Despite this, they were pinned down by suppressive gunfire. The incident lasted five minutes and 145 rounds were fired. The suspects were hit multiple times but continued to fight in part because the officers’ and agents’ service revolvers did not have sufficient stopping power. In response, there was a movement to increase the firepower of service revolvers. This is when semi-automatic pistols began to replace the revolver and larger magazines became the rule. Rifles, shotguns, and heavier body armor also saw increased adoption after this shootout. Another incident accelerating the militarization of police is the North Hollywood shootout of 1997. This bank robbery left two dead (the perps) and 20 wounded – 12 police officers and eight civilians. It lasted 44 minutes, an eternity in terms of police shootouts, with approximately 2,000 rounds fired. The perps got off approximately twice as many rounds as the police officers on the scene, but the game-changer was the arrival of the SWAT team, who had much more appropriate weaponry. This led to everyday police officers getting equipment that was customary for SWAT teams in the 1990s. 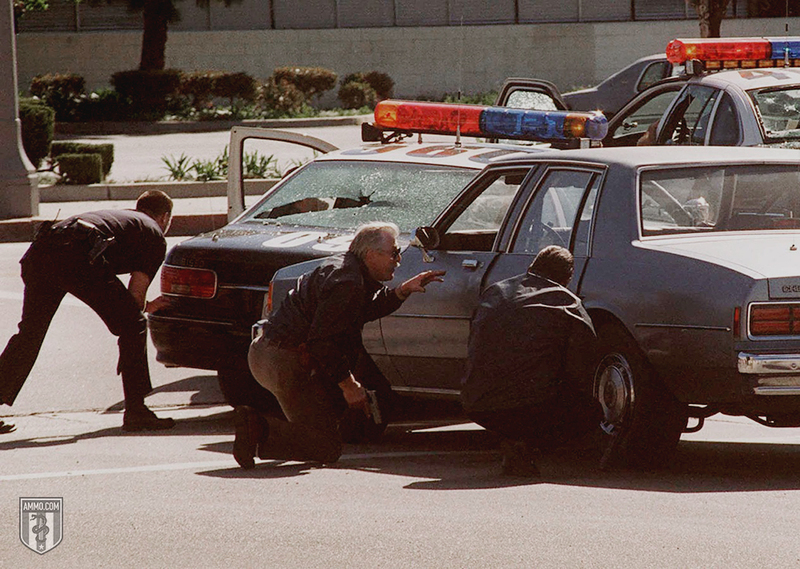 The 1033 Program was enacted in the wake of the 1997 North Hollywood shootout. Created by the National Defense Authorization Act for Fiscal Year 1997, it allowed law enforcement agencies to get their hands on military hardware. Unsurprisingly, the preference was given to law enforcement engaged in anti-drug and counter-terror activity, underscoring the vital role of wars on abstract concepts in increasing the militarization of the police force. Bill Clinton – he of the massacres at Waco and Ruby Ridge – signed the bill into law. $5.1 billion in material was transferred from the Department of Defense to local law enforcement between 1997 and 2014, with ammunition being the most common requisition. 8,000 law enforcement offices participate as of 2014. Also included in this total are 20 different school law enforcement agencies. The Los Angeles School Police Department has requisitioned 61 assault rifles and three grenade launchers. Ten school police departments in the State of Texas and have requisitioned 25 automatic pistols, 64 M16s, 18 M14s, and tactical vests. The program has come under bipartisan criticism lead by Rand Paul. Senator Paul stated that the program has “incentivized the militarization of local police precincts and helped municipal governments build what are essentially small armies.” Senator Claire McCaskill led the first investigation of the program starting in September 2014. At least one study found a correlation between the 1033 program and increased fatalities at the hands of law enforcement. One of the big game-changers for militarization of police was the 9/11 attacks. This greatly eroded the Fourth Amendment protections against unlawful search and seizure. Now police – local, state and federal – need to suspect “terrorism.” This provides the same convenient cover for police overreach that was previously offered by the War on Drugs. President Obama gave new directives for the 1033 program that forbade police from acquiring certain weapons from the military. These include weaponized vehicles, grenade launchers, and bayonets. Attorney General Jeff Sessions ended these restrictions upon assuming office in 2017. 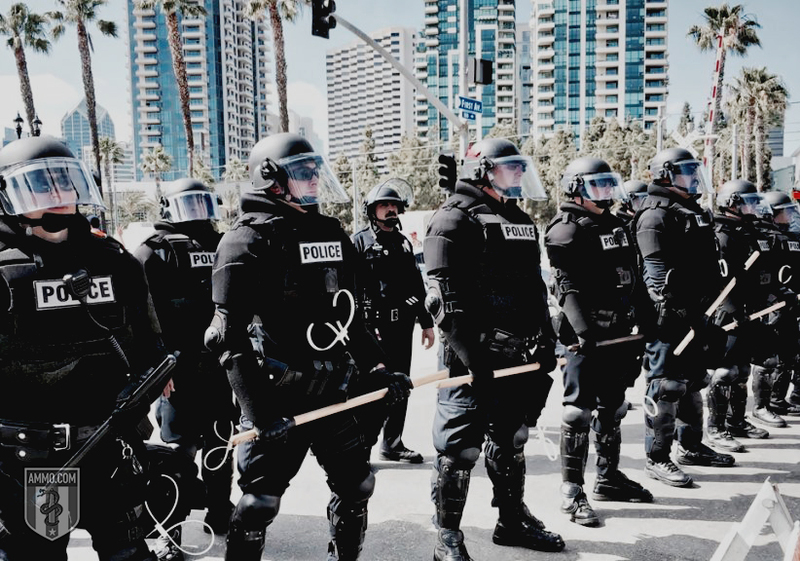 The propaganda war for militarization often comes under the rubric of a “war on police.” However, there is no factual basis for the idea that police officers are under some kind of unprecedented siege. The year 2015 had one of the lowest levels of police murders on record. Not only were fewer police officers being killed on the job, far fewer people were attempting to hurt police officers. The weapons that come to local police departments through the 1033 pipeline are direct from the military and, by extension, the War on Terror. Training with military units is also increasingly common according to a report from the Cato Institute. The training generally takes place not with regular infantry units, but with specialized and elite groupings within the United States military – such as the Navy SEALs and the Army Rangers. Civil asset forfeiture (CAF) is a major driver in the militarization of the police force. Put simply, CAF is a legal principle that allows police to seize money and property from “suspected” criminals, which they can do without a warrant because the suspect’s property doesn’t have the presumption of innocence. Note that police do not have to convict or even indict. Indeed, indictments are not even filed in over 80 percent of all cases. Police can simply seize property, more or less at will, with some property harder to seize than others. Seizure of anything under $20,000 will almost certainly stand because that’s about what it’s going to cost you to fight CAF in court. While not the sole, nor even the primary, means by which the police are becoming militarized, this is a significant method for police departments to bankroll their own militarization. It’s one thing to discuss police militarization simply in terms of weapons acquisition. It’s another to discuss police militarization in terms of actual incidents. Some high-profile incidents involving heavily militarized police are worth examining. MOVE: In 1985, the Philadelphia police came into conflict with a militant black nationalist organization called MOVE over the clearing of a building. An armed standoff resulted in shots exchanged between the compound’s inhabitants and the police. Eventually, this erupted into a firefight involving both semi-automatic and automatic weapons. On the orders of the police commissioner, the building was bombed twice. The resulting fire spread to a total of 65 different houses in the neighborhood and caused 11 deaths, including five children under 13. Over 250 were left homeless due to the fires. Ruby Ridge: This is notorious within in the Second Amendment and liberty movements, so it hardly needs to be repeated. In 1992, the United States Marshal Service attempted to serve a bench warrant at Ruby Ridge, the home of Randy Weaver and his family. His wife Vicki and his 14-year-old son Sammy were shot by USMS and FBI agents armed with M16s, sniper rifles and weaponized vehicles. Randy Weaver’s attorney made accusations of criminal wrongdoing and a resulting 14-day Senate investigation called for sweeping law enforcement reforms to avoid another similar incident. Federal officers also killed the Weaver family dog. Branch Davidians: This is perhaps one of, if not the archetypal example of a militarized police force greatly overreaching. Armed with .50 caliber rifles, M728 Combat Engineer Vehicles (which are effectively tanks) and M79 grenade launchers, the FBI and ATF engaged in a firefight with Branch Davidians inside. Controversy remains to this day with regard to who fired first and who started the fire that consumed the building, leaving 82 members of the church dead. These are the big three, but there are many smaller events also worth mentioning. During the wreckage of Hurricane Katrina, private Blackwater contractors patrolled the streets with automatic weapons. They were accused of summary execution of looters. In a low point for militarized police in 2014, a SWAT team in Cornelia, Georgia severely mutilated the face of an 18-month-old baby boy with a flash-bang grenade in a fruitless search for drugs. 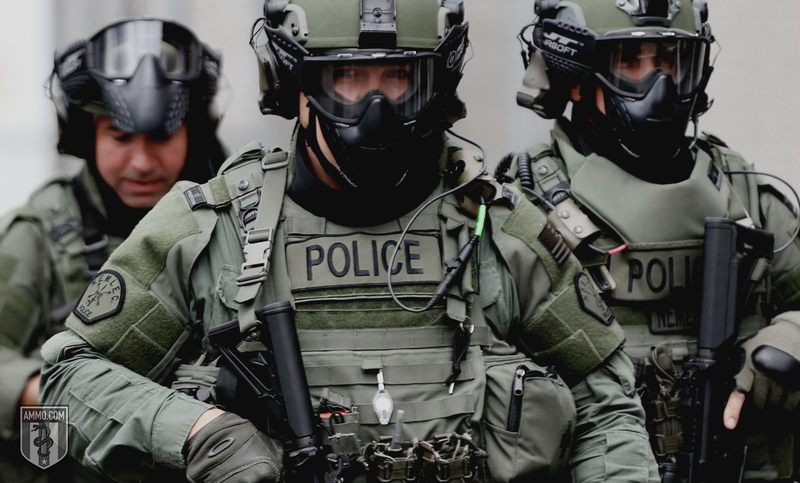 SWAT teams are effectively the military of the police force. Begun in 1965 in Philadelphia, SWAT teams were conceived as a way to restrain urban unrest, deal with hostage situations or handle barricaded marksmen like Charles Whitman. Indeed, early uses of SWAT seemed to be well within the range of appropriateness. In December 1969, the LAPD’s SWAT team squared off with the Black Panthers, with Daryl Gates requesting and receiving permission to use a grenade launcher. In May 1974, the same SWAT team had a several-hours-long gun battle with the Symbionese Liberation Army. However, SWAT teams gradually began to tackle missions that were not, strictly speaking, appropriate for the tools in their toolbox. What’s more, once LAPD’s SWAT team became famous, every city seemed to want one. The number of SWAT teams in cities of 50,000 or more doubled between the mid-80s and late-90s, at which point 89 percent of all cities of this size had a SWAT team. Even smaller cities have SWAT teams now, which raises the question of why. Mission creep is the short answer, with SWAT teams now being used for operations far beyond the original scope of their work. Put simply, the SWAT team was not created to serve every search warrant that comes across the desk of a small-town police force. SWAT teams ostensibly exist to respond to “high risk” scenarios. But there are seemingly no guidelines for what makes a situation high risk. Sometimes local SWAT teams use a threat matrix. However, these matrices are highly subjective and vulnerable to abuse. Partial responses are discouraged. Either the SWAT team is not deployed at all or there is a full-throttle response. To use one example of why these matrices don’t work, let us consider the presence or absence of weapons. There is no way of knowing whether or not weapons will be present. So officers must subjectively guess whether or not they believe weapons will be present. Unfortunately, officers are pretty bad at this guessing game. According to an ACLU report, SWAT officers believed weapons were present in 35 percent of cases, but only actually found them in a scant 13 percent. In 36 percent of cases where SWAT was deployed to find drugs, no drugs were found. As the military’s tools for surveillance become more powerful, this too will trickle down to the local police. In at least one case, it already has. Fusion Centers are hubs for local, state and federal police to share information. They’re effectively intelligence-gathering done by various police agencies who pool their resources. While this isn’t an uncommon practice, the Fusion Centers have virtually no oversight and are filled with zeal for the War on Terror. While its primary existence was to surveil in the fight against terrorism, Fusion Centers have quickly ballooned to gather intelligence on just about anything – and it’s not just the police. The military participates in Fusion Centers, as does the private sector, which means they’re a privacy nightmare. The federal government has pushed Fusion Centers and largely bankrolled them. Hundreds of FBI agents work with Fusion Centers, with the federal government providing hundreds of millions of dollars in federal aid. In the case of the Maryland Coordination and Analysis Center, the federal government created a Fusion Center at the state level, only eventually turning control of an ostensibly state agency to the state. 30 percent of these “state” agencies are physically located in federal office space. 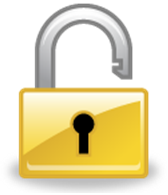 Private sector companies collect, store and analyze data for Fusion Centers. This would be dangerous on its own, but the lack of any oversight makes it particularly troublesome. 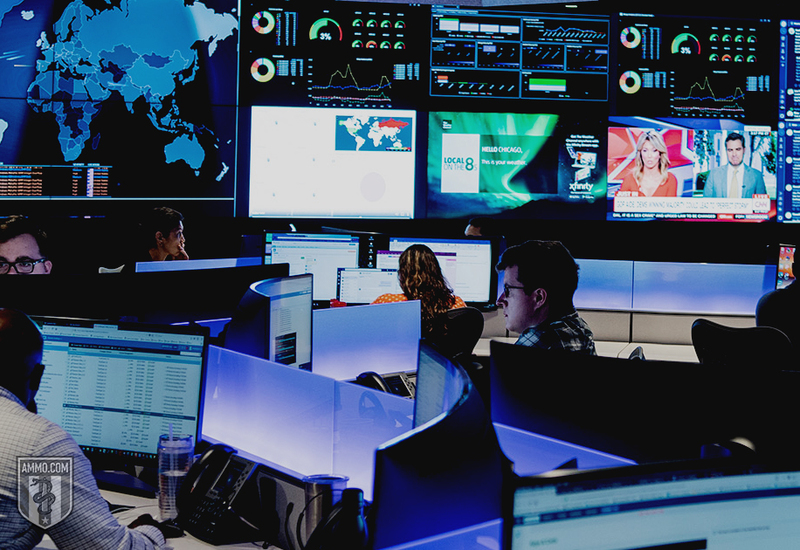 Even if a private sector has the best of intentions, malicious third-party actors could access some of your most sensitive data if it’s been data-mined by a Fusion Center. A company without the best intentions can do all kinds of “government-approved” snooping into your personal affairs. Another nasty surveillance tool currently being deployed by the police is the Stingray phone tracker. This is effectively a phony cell phone tower that snoops on cell phone calls, which can extract significant information about you from your cell phone. Originally to be used only in terrorism investigations, the Electronic Frontier Foundation notes that the LAPD “has been using it for just about any investigation imaginable.” They can also be used to jam or otherwise interfere with your phone signal. Stingrays are highly mobile and can be mounted to just about any vehicle. All of this is part of an overall drive for increased police surveillance starting at the Department of Justice and the Department of Homeland Security and trickling down. “Total Information Awareness” was one of the more Orwellian euphemisms of the early Bush and Department of Homeland Security years. It was quickly renamed Terrorism Information Awareness, then codenamed “Basketball.” Its goal is to know everything, or at least as much as it can. In 2012, the New York Times reported that this program was “quietly thriving” at the National Security Agency. 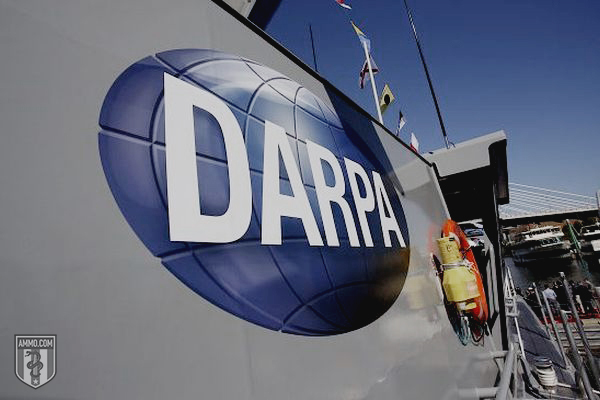 The Information Awareness Office, established by the Defense Advanced Research Projects Agency (DARPA – who we will discuss more later), oversaw Total Information Awareness. They collect emails, social network identities, records for phone calls and credit card purchases, medical records and a host of other information with no need for a warrant. Congress defunded this program, but it exists under the auspices of a number of different agencies according to Edward Snowden. Human Identification at a Distance (HumanID): Facial and gait recognition software capable of recognizing individuals at 500 feet out. 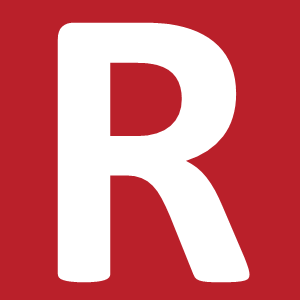 Evidence Extraction and Link Discovery: A tool for connecting dots between sparse information, such as cell phone records, web pages, emails or social media posts. Genisys: A massive database for storing the large amount of data needed to fuel Total Information Awareness. Scalable Social Network Analysis: Used to analyze information from social networks. Translingual Information Detection, Extraction and Summarization (TIDES): A next-gen translation tool designed to translate large amounts of information quickly. Effective Affordable Reusable Speech-to-Text (EARS): A rapid speech-to-text application focused on telephone conversations. How much of this has trickled down to your local police department is largely unknown. There are a number of negative consequences arising from the existence of a militarized police force. Civil Liberties: Chief among the problems presented by a militarized police force are civil liberties. Militarized police seem to violate the spirit, if not the letter, of the Posse Comitatus Act of 1878, which forbids using the military to enforce domestic law in most cases and under ordinary circumstances. Surveillance: The militarized police force also uses military-style forms of surveillance. A January 2017 report from the Cato Institute accused militarized police of “mission creep,” going beyond simple weapons and tactics and into surveillance. Force: Veterans on the police force tend to have more complaints about excessive force and are more likely to discharge their weapons, according to a report from the Marshall Project. Alienation: Militarized police are the antithesis of community policing, which leverages good community relations and the resources flowing from those relations to prevent and solve crimes. Military-style training for police, battle dress uniforms and even just the color black might provoke more aggression from officers. 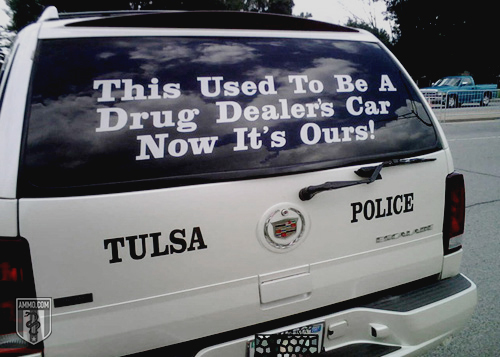 Named missions such as “War on Drugs” likewise make community policing more difficult. Killing Dogs: There’s significant evidence suggesting that the more militarized a police force is, the more likely it is to shoot a dog. Yes, really. The Puppycide Database Project tracks these things. Lack of Oversight: At the local, state and federal levels, there is little-to-no oversight when it comes to the militarization of the police. Most states do not keep tabs on the statistics of their SWAT teams. 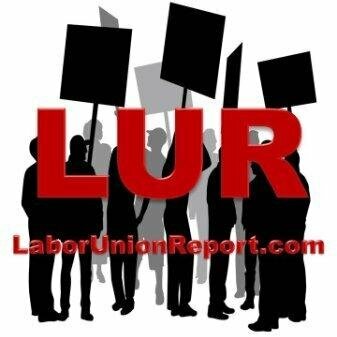 Where they do, reports are frequently incomplete and little-to-no action is taken on their basis. No federal agency collects information about local SWAT teams. There is little oversight of 1033 or SWAT teams either by the Department of Justice or the Department of Homeland Security. All of this is perhaps why, under the Obama Justice Department, there was a push toward demilitarization of the police force. In 2015, the Task Force for 21st Century Policing recommended restriction of military hardware such as grenade launchers and armored vehicles. President Donald Trump has since reversed this, reinstating the entire 1033 program and remilitarizing police. Since there is a clearly established pipeline running from the Pentagon’s latest and greatest toys, it’s not much of a stretch to say that the weapons being developed by the Pentagon today are going to be used on the streets of America in the very near future. In fact, there’s an entire department of the Pentagon dedicated to developing futuristic weapons to help the United States win the new arms. It’s called the Defense Advanced Research Projects Agency, commonly known as DARPA. This agency has not only developed weapons, but also a number of contemporary technologies most people take for granted – such as GPS, graphic user interface, the mouse, and even the internet itself. Recent research includes more intuitive prosthetic limbs as well as brain implants that will help those with memory loss regain their memory. Active Denial System: The active denial system is an invisible ray gun heating the skin of people in a given area to 130 degrees. The targets instinctively flee, something that DARPA calls the “goodbye effect.” The end result can leave second- or third-degree burns on up to 20 percent of the body’s surface. The weapon has already been tested in Afghanistan. Taser X12: Nearly everyone is familiar with the Taser. The Taser X12 is effectively that in 12-gauge shotgun form. This extends the reach of a Taser weapon from about 20 feet to about 100 feet. Skull Piercing Microwaves: Yep, you read that right. One of the projects DARPA is working on right now leverages the audio effect of microwaves. This creates shockwaves inside the skull, which are read by the brain as sound. This can result in discomfort, incapacitation and brain damage. Voice of God: This one sounds impossible, but it’s not. The Voice of God is pretty much exactly what it sounds like. It’s a weapon beaming words directly into your head so that you think God is talking to you. This leverages the same technology in LRADs, but for a different effect. These are just a few of the weapons that we know about. There is almost certainly far more frightening classified weapons coming down the pike over the next decade. The tendency is strongly in the direction of increasingly militarized police. This renders the notion of “weapons of war on our streets” as a gun grabber argument exceptionally weak. The most heavily armed gang on the street isn’t your local street gang – it’s law enforcement. They have weapons far in excess to that of the average citizen or even the average criminal. This means resisting them can easily be deadly, even when you’re within your legal rights. This raises a point worthy of consideration: The usual suspects will cry and rage at your ability to legally own an AR-15, a right codified by the United States Constitution. 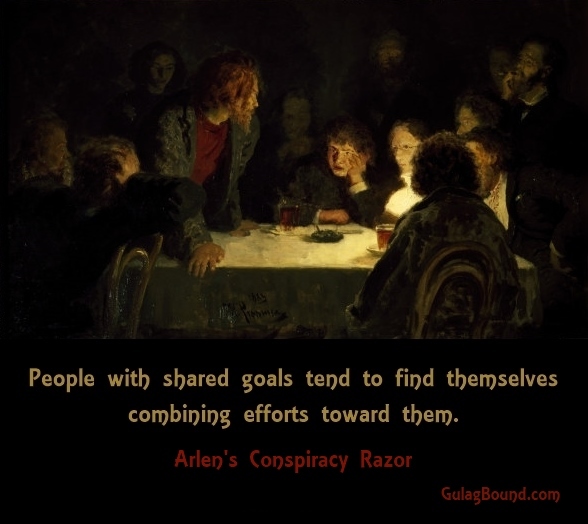 Rare is the gun grabber who makes any kind of stink when police use directed energy weapons. Remember that gun grabbers aren’t against guns – they’re just against yours.